In the edition of Voices of the Industry, Ashish Moondra, Senior Product Manager, Power, Electronics & Software, at Chatsworth Products, explores how to simplify data center operation in the age of the Internet of Things (IoT). The Internet of Things (IoT) is expected to be one of the biggest waves in the world of computing over the next few decades. In fact, by 2020, 30 billion things are projected to be connected, according to market intelligence firm IDC. A primary enabling technology for IoT is Edge Computing, which pushes applications, data and computing services away from centralized data centers to the logical extremes of the network for better latency and faster processing. As IoT evolves, managing assets and white space remotely becomes more challenging. 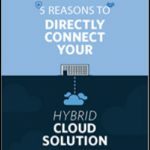 A comprehensive and reliable solution that works together to simplify operation, costs and labor, as well as allows for network expansion is key. So, how do we make this simple? Data center managers need to look at the data center cabinet, not just as a point product, but as the foundation of a complete ecosystem. A complete cabinet ecosystem approach that incorporates an integrated hardware solution, all networked through very few IP addresses and managed centrally through a plug–and-play software is the key to simplified remote management. When selecting a cabinet size, you are designating a specific amount of floor space that will store a specific amount of equipment. There are two main factors to consider: cabinet footprint and cabinet load bearing capacity. The proper cabinet ensures maximum space utilization and protection for equipment in high-density environments. 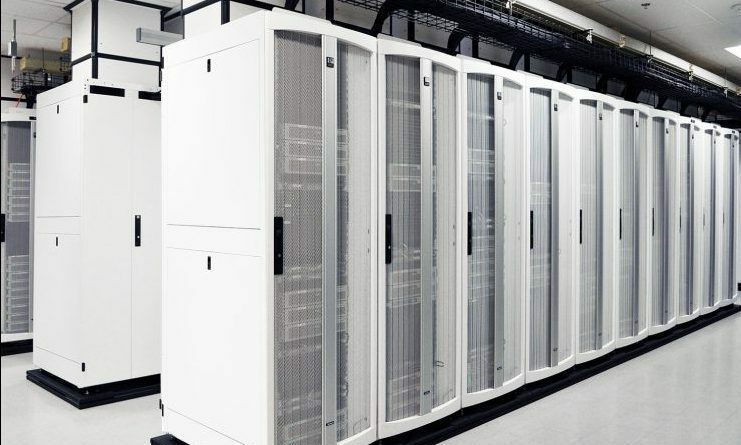 An effective airflow management (containment) strategy allows the data center cabinet to support high-density equipment, while bringing in energy efficiency and lowering cooling costs. Door perforation ratio and provisions for airflow management accessories such as filler panels and air dams are important but often neglected considerations. The cabinet should include specific and physically separate pathways for power, network and access control cables, as well as mounting locations for power distribution units (PDUs) that minimize interference with airflow through the cabinet. Power management is critical to ensure availability of all IT applications, in addition to minimizing the overall energy footprint of the data center. Also, by tracking power use, you can boost operational efficiency by managing and monitoring power at the rack- and device-level. 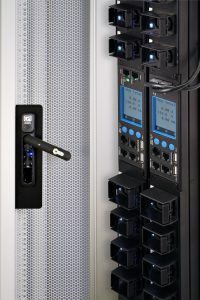 In the IoT age, a useful PDU must have features such as branch and outlet monitoring and switching, high ambient temperature ratings and remote manageability. One of the most common causes of downtime is hardware failure resulting from exceeded temperature or humidity levels within the cabinet. It is important to maintain the appropriate temperature levels within the white space, as they have a strong correlation to the overall energy consumption within the data center. A good strategy is to place a temperature and humidity probe near the top front and rear of each cabinet. As more equipment is collocated or placed in remote sites, the need for security becomes extremely critical, so it is essential that access to IT equipment within cabinets is properly controlled and managed. A networked electronic access control solution at the cabinet level will prevent unauthorized physical access, and it will provide administrators with an audit trail of all authorized and unauthorized access attempts. To ensure complete control over access within the data center, the networked electronic access control chosen should be monitored through the integrated DCIM solution instead of the building management systems designed for overall campus security. This limits the access control solution only to members of the organization who can have access to the data center. Furthermore, to meet growing compliance regulations such as HIPAA, PCI-DSS and FISMA, take security a step further by adding dual-factor authentication with biometric technology. There are simple, affordable solutions in the market today offering access cards with biometric reading. These fingerprint-activated cards work with other card-activated locks, so there is no need to install additional readers to every cabinet for dual-factor authentication. A management solution that consolidates power, environmental and access control should be considered. Management of all physical infrastructure hardware devices within the white space should require minimal IP addresses to reduce overall networking costs and complexity. IP consolidation allows you to save thousands in networking costs, as this free, online estimator demonstrates. A simple, yet robust, data center infrastructure management (DCIM) software that helps you visualize trends of all power, environmental and access control activities in the room and cabinet in a single screen brings the concept of simplified white space management home. When procuring DCIM software, focus on simplicity, usefulness and easy deployment. To ensure proper security, the overall management solution should use encrypted communications and it should be well integrated with the remote authentication scheme being used within the datacenter. Current computing and networking trends are resulting in more equipment being collocated or placed in remote sites. Optimizing higher density and remote sites requires a holistic approach to fitting and monitoring in the white space. The way to simplify the complexities of the IoT is to implement a cabinet ecosystem is the foundation for simple, reliable operation. An effective cabinet ecosystem that allows you to consistently support, organize, manage, control, monitor, protect, optimize and simplify your operations. Chatsworth Products (CPI) recently published a white paper describing how each solution is an integral part of the cabinet ecosystem. Download the white paper here. 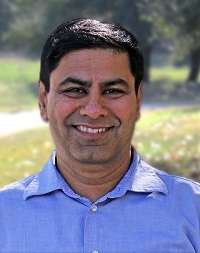 Ashish Moondra is Senior Product Manager, Power, Electronics & Software at Chatsworth Products.